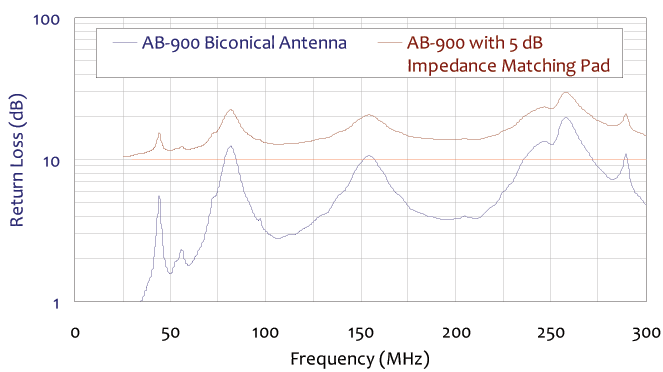 The Model AB-900A is used for emissions and immunity testing to meet various EMC standards. 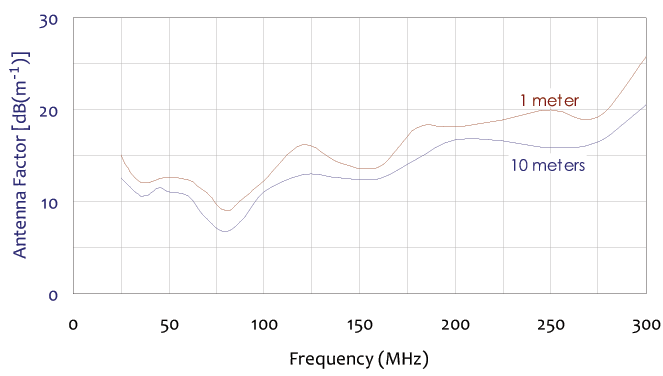 It has frequency range of 25 MHz to 300 MHz. 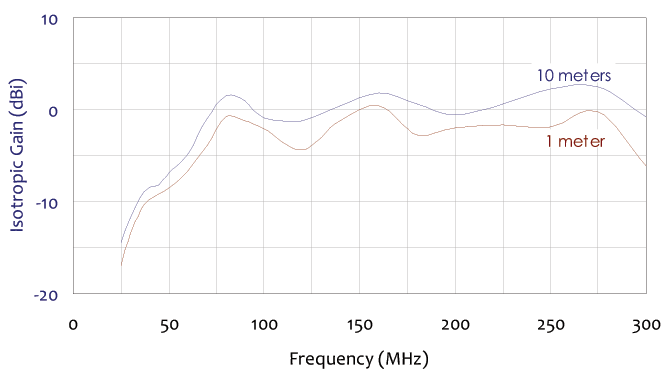 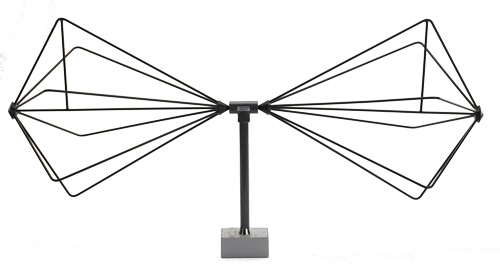 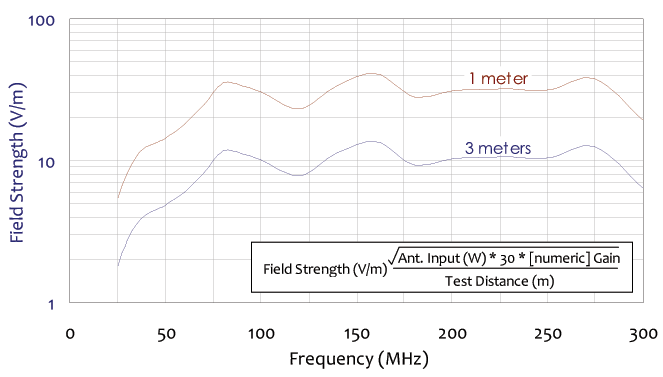 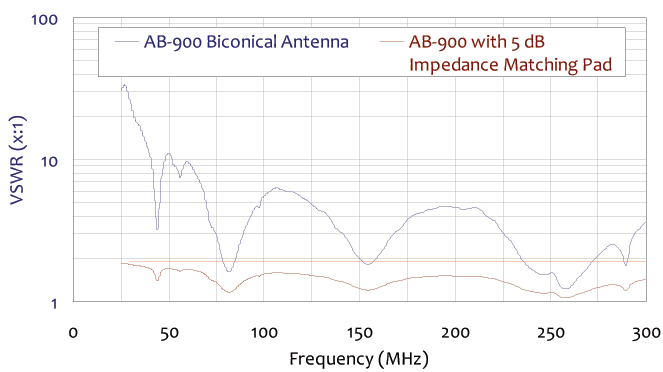 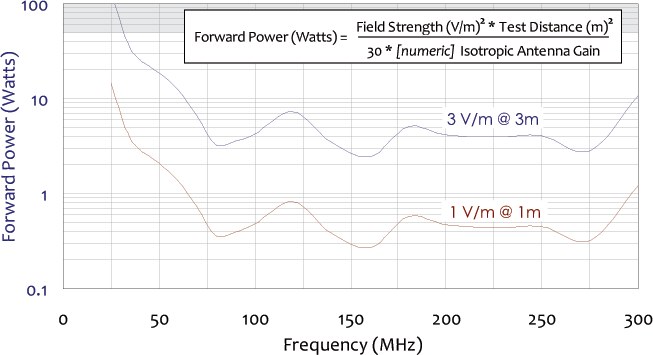 The broadband characteristics of the biconical antenna makes it a good choice for making sweep measurements and for automated measurement systems.